2016 started strong. 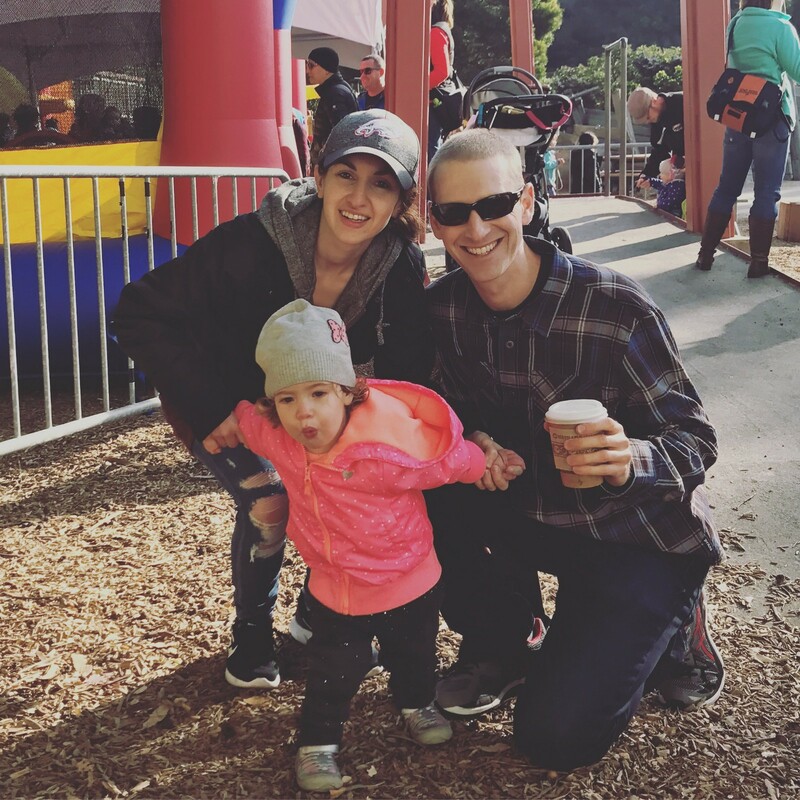 My daughter was thriving, I recovered from my postpartum depression, I embarked on starting a company with a dream cofounder, and my husband was at the top of his career, managing a team of people across the globe. Everything was looking up. But then 2016 dealt us a devastating blow (if you don’t know what that is, start here). It uprooted our lives and our plans. It knocked us down — way down — physically, mentally, and financially. Cancer or not, we’ll never be the same. For me, 2017 will not be about accomplishments in the traditional sense. For the first year that I can remember, I’m not making any resolutions. I’m not going to try to lose 10 pounds or read 100 books or run 1000 miles. I’m going to skip self improvement this year. 2017 will be about how I can best use the time I have on this earth to help others. First and foremost, my priority is to help my family. The well-being of my family members comes first and if I do nothing else but keep Bryn and Eric happy and healthy then I’ll consider 2017 a success. But assuming that’s not all-consuming given that Eric is now cancer-free, my next priority is to help people caring for children. I founded Winnie out of my desire to make parenting easier but I didn’t appreciate just how hard it can get until this year. Now I’m more convinced than ever that it takes a village. My village showed up for me in a big way in 2016. I want that for everyone and I have big plans to get all parents the help and resources that were available to me. (Anne will kill me if I say more so for now I’ll just say stay tuned by signing up for Winnie if you haven’t already). Finally, I want to give back to others dealing with cancer in their lives. If I can be of help or service to others in similar shoes, then I’d like to be a support. There may also be some more concrete ways I can give back to the cancer community so if you have ideas, please send them my way. I don’t know what the next year brings and I definitely don’t know what happens in the next 5 or 10. I’m taking it one day at a time. For now, I’m not in crisis mode and I am in a position to focus my energy on others instead of myself. I may not run 1000 miles or read 100 books. I may not improve myself in any measurable way this year, but I think I’ll end up better for it.